Reneltta Arluk heads North to find her other side. 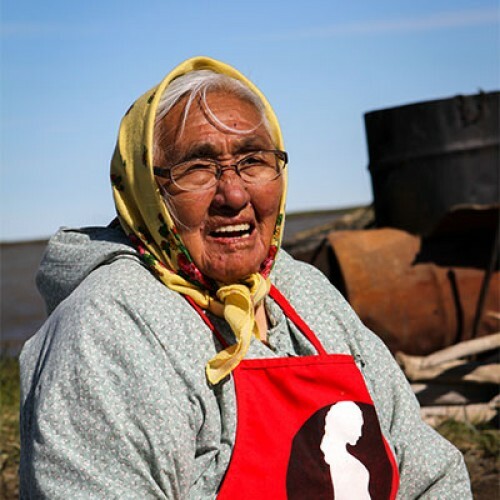 During Reneltta’s first trip to a traditional whaling camp, she is confronted with disappointment. 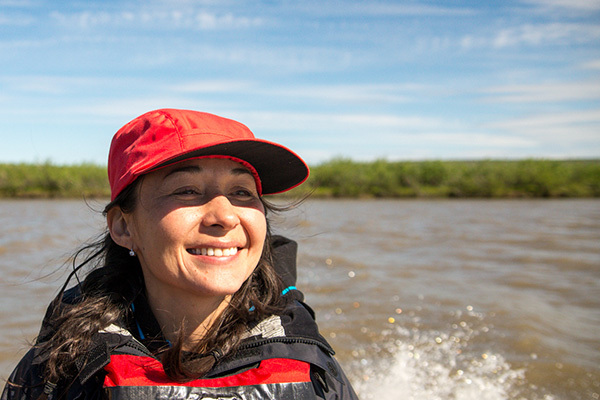 Reneltta reaches beyond those feelings to seek out her Inuvialuit heritage and along the way, becomes a part of her people. The Inuvik Beaufort Delta Region is the northernmost region in the Northwest Territories with about 7500 residents of mainly Inuvialuit and Gwich’in heritage living in the 8 communities that make up the region: Aklavik, Fort McPherson, Inuvik, Paulatuk, Sachs Harbour, Tsiigehtchic, Tuktoyaktuk and Ulukhaktuk. 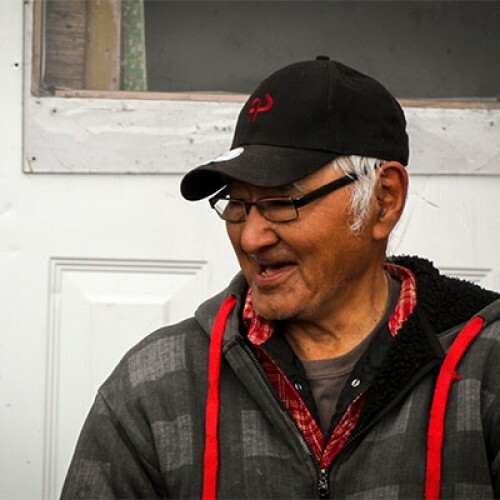 The region is self-governed through the Inuvialuit Regional Corporation and the Gwich’in Tribal Council. Communities in the Beaufort Delta border the Beaufort Sea. Cod, whitefish, arctic char, beluga whales, narwals, bowhead whales, walrus and polar bears form a large part of the habitat. The Beaufort Sea also contains significant resources of petroleum and natural gas under its shelf, and off shore drilling began back in the early seventies. Due to insufficient amounts of oil and natural gas found, the wells have since been plugged and abandoned. Artists use locally harvested materials from animals in the area including fox, seal and muskox in their creations. Caribou is used for food, and the hides are tanned and then sewn into clothing, footwear and bedding. The Delta Braid, a geometric pattern applied to clothing, made from tape and seam bindings originates from this region. Ulukhaktok is the home of the Holman Eskimo Co-op. The co-op was created to provide residents in the community with a source of income through the sale of their arts and crafts, and has now become very well known for its printmaking. 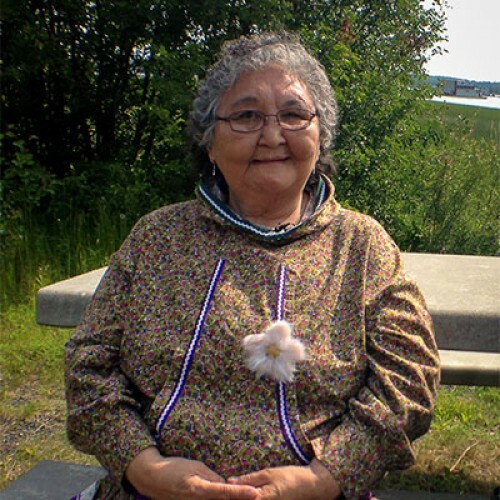 Reneltta Arluk is a playwright and actress with a Chipewyan/Inuvialuit heritage. Reneltta’s play Tumit has had some critical success within the indigenous community. She has also produced radio dramas and continues to perform and create. Reneltta likes to challenge the status quo.